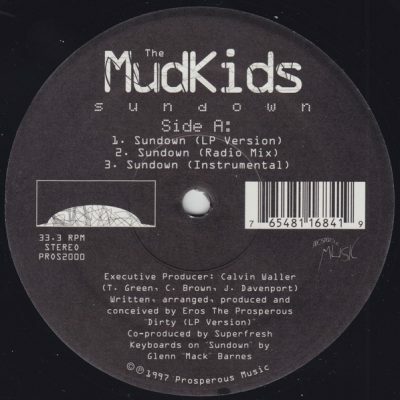 1 comment "Mudkids – Sundown (VLS) (1997) (FLAC + 320 kbps)"
thanks for dope stuff but that group name not similiar as other group mudkids.this is m.u.d.k.i.d.s. who in discogs link : https://www.discogs.com/artist/6413777-MUDKIDS and got “The D.U.S.T. Prophecy” album include that vls tracks.but other mudkids from indiana and complete different group.